Weekly Update 2016-18: Fourth time's the charm - seeing Wintersleep for the fourth time at the Phoenix, thinking about the best usability case for kitchen whisks, and the lovely Chinese-inspired designs of Xiu Yuan. I am so excited to be seeing Wintersleep again on Wednesday – and this time, I might see them win an award! How they so deserve it. I have seen the Nova Scotian band a total of three times so far, and Wednesday will be number four. Their sound is the sort of indie rock that sticks to the crevices of your brain, and you'll find yourself humming one of their songs even though you haven't heard it in a few years. Well, if that's your case, listen to some now! Their new album is really great, and I can't wait to hear them play some of it live. Virgin Fest 2008 - I had to run to the stage to catch them on time, only to wait fifteen minutes for them to come on. I wasn't able to finish watching their set before I had to run back to the main stage to catch Bloc Party. A good idea considering I don't like Bloc Party's new stuff as much. Molson Canadian Amphitheatre 2010 - Bought a t-shirt in support of New Inheritors. I'll be wearing it on Wednesday! Danforth Music Hall 2013 - Inadvertently met the bassist outside of the venue an hour before the show. Didn't know it was him until they came onstage. As I mentioned last week, I did indeed attend a band practice of the Brazilian drumming troupe. I think the beats and breaks they're learning are really interesting and can't wait until we're ready for that stuff. Some of it is so complicated and delicious that I can't even remember it. I biked to and from work last Thursday. It was a bit nerve-wracking to ride so far on Charles Street against one-way traffic. I'm not 100% sure if it's legal for bikes to do that, but regardless I don't think I'll be doing it again. Gotta find another route, at least for the ride toward work. I organized a successful bonfire in Christie Pits on Friday night! I was the most surprised that the police never bothered to show up, even though we were playing musical instruments and a very loud and reverberating drum. We ended up finally putting it out around 2:30AM, something like five hours after the permit ran out. Awesome! I made five Bunz trades on Saturday, including scores of a bike basket (which I affixed to my bike today), a small bookshelf (which would already be put up but I can't decide where it should go), and a little baby mint plant! I finished the first in a series of eight posts about my trip to China – one for each day. I realized it would be best to separate them out into days for a few reasons: the entire thing would be too long and no one would read it, and it would be better for me to digest the trip by writing about it in chapters. I am including an assortment of the 2000 photos I took, and you can check out the first post here. Even with all that, the biggest accomplishment of the week was going the entire eight days of Passover without eating the birthday cake in my freezer. Technically, by the new rules, I didn't break it at all (even though I made a few slip-ups). But I still haven't decided if I can really eat beans during Passover. Just feels wrong. This week, I want to clean out my Google Keep notes. Even if I move it all to blogger drafts, at least it's in one place. It'll keep my sanity. I'm doing it tomorrow, after the other Tuesday goal of attending a weekday Jane's Walk. This one, in fact! I am so excited that I live downtown and can consume a greater slice of the cultural pie this summer. Of course, I'll also be attending an assortment of walks on the weekend. There's even a biking 'walk' exploring the beltline! Luckily, that one is also on June 18 so I can attend that one if it conflicts with any of the other ones this weekend. I also want to write out two more days of China posts. I don't want to release them all too quickly, so that people have time to read them as chapters without feeling overwhelmed by the pace. I'm also going to bike to work this week. On Wednesday, to be specific. I need to find a new path toward work that isn't against one-way traffic, as I mentioned, which will most likely be taking the long way around King's College Circle. Not a terrible scenic route! Also, there may be a way to cut through it, which would be equally as nice. I have been turning the cogs in my head trying to figure out what to ask for in Bunz trades. Since I posted a ton of stuff last weekend, I've been getting a lot of people asking for what to trade me. I've been making some simple sauces, and realized to my horror that I may actually need a whisk. This is a terrible thought because I HATE washing whisks. They are so clumsy to clean and often take up a lot of space in a drawer as well. So I decided to google image search all the different kinds of whisks. 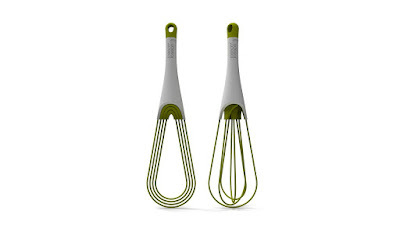 I had used a whisk with balls on the end and none of the spokes connected, but had no idea what it was specifically meant to be used for. Maybe there is a better one out there for my sauce preparing needs? 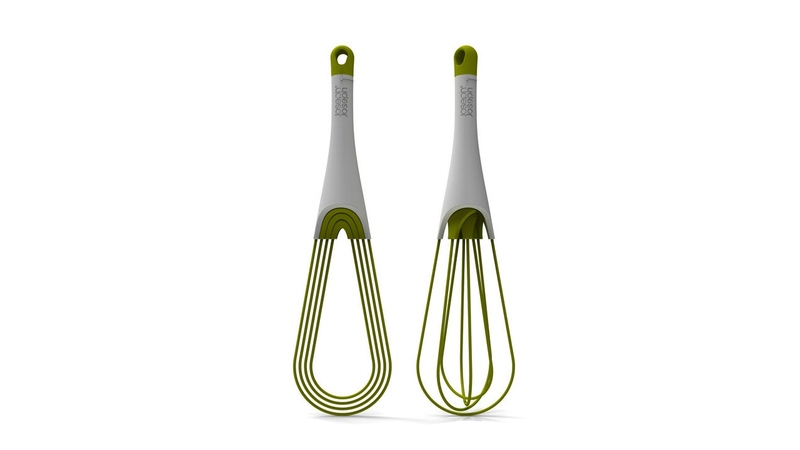 And indeed, I did find that there is a flat whisk meant for making a roux, which is exactly what I need. Its shape makes it easy to clean and store as well, which makes me happy. But then I was wondering, why are there so many dang kinds of whisks? Do people buy, keep, and actively use each of them for their specific uses? 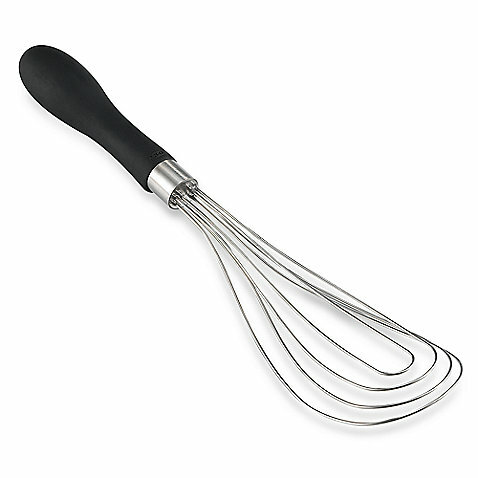 What if there was a whisk like the one above, but that could swivel its spokes to be a flat whisk or a regular one. This would solve the problem of cleanliness, storage, and having to buy/keep several tools instead of one. So I googled that, and yes it does exist. Somehow unrelated from my recent trip to China, I have stumbled upon a very talented designer from Beijing on Dribbble. Check out the wide breadth of excellent work! One of my favourite aspects of this designer's work that spans the different subject matter is the mix of ancient Chinese culture and folklore with new design tools such as vectorization, user experience design and icon design. It's interesting to view such an old theme through the lens of a new style.